I joined Legacy.com as a part-time content screener nearly 10 years ago. Though I’ve since moved to another position and no longer review condolences as part of my daily job, I reviewed more than one million condolence messages in my time as a content screener. My friends and family members would often ask me what it was like to read about death all day. And they were surprised when I told them, just as our CEO did in an earlier blog post, that my job wasn’t really about death – it was about life. I think this really illustrates what the Guest Book is all about. People write in it on the occasion of a death, but the reason they’re writing is to remember a life. When we remember a life, we want to remember our favorite times, the happy things, the memories that give us joy – that’s what helps us get over the sadness of a loss. And that’s why people who share condolences in the Guest Book are five times more likely to mention laughter and smiles than crying and tears. 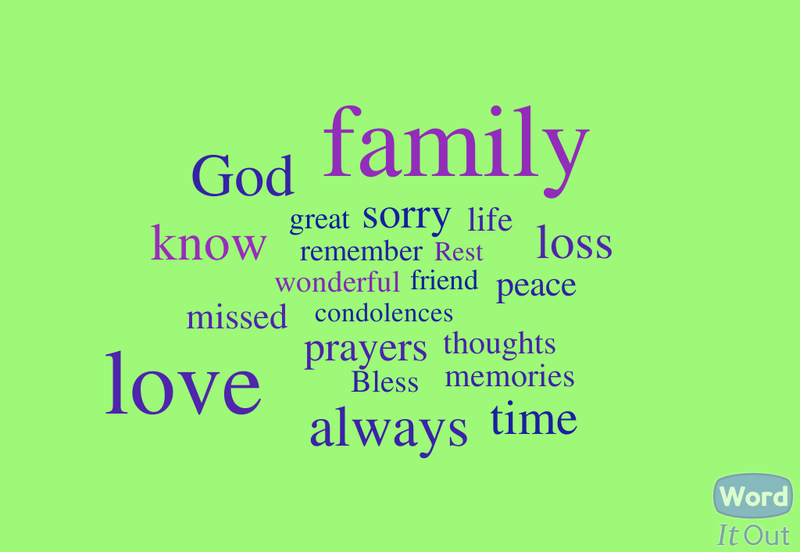 This entry was posted in Life at Legacy.com and tagged Condolences, Guest Book entries, Life at Legacy.com, Obituary Guest Books. Bookmark the permalink.